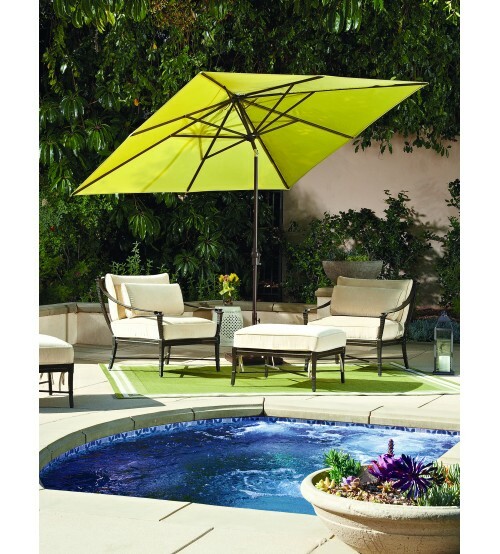 Boasting a stylish and durable canopy cover made from Sunbrella or Outdura fabric, Treasure Garden's 8'x10 Auto Tilt Rectangle patio umbrella provides maximal shade with easy, flawless operation. 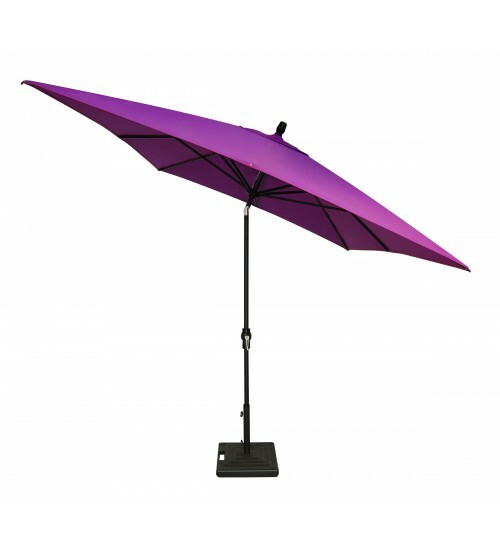 This umbrella features a crank lift and auto tilt, ensuring easy operation for anyone. By simply cranking the umbrella beyond the dully upright position, it may be tilted to block the morning or afternoon sun. 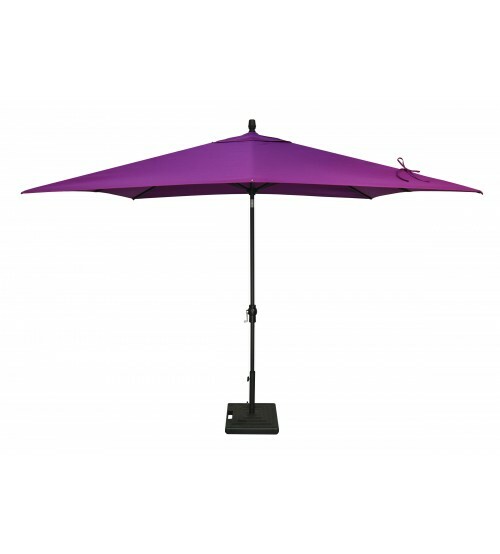 Providing 80 square feet of shade, this umbrella is an excellent choice for patio dining and lounge sets. The 8'x10' Auto Tilt Rectangle umbrella is crafted from sturdy, rust-proof aluminum and is available in bronze or black frame colors.